We have many events happening in our community. Whether it is a community discussion about Service Animals or Why Mental Health Matters or our one man golf outing, Pars for a Purpose, we would love to see you there. Community Discussion: Service vs. Emotional Support Animals, What's the difference? 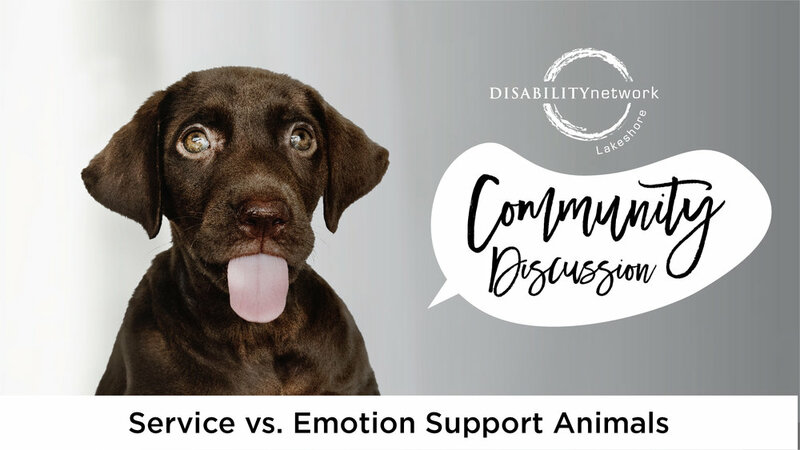 A community discussion on service vs. emotional support animals. If you would like to discuss what the Americans with Disabilities Act has to say about this topic, please join us at Loutit Library in Grand Haven from 6:00 - 7:30 p.m.
With a team of volunteers assisting and paving the way, Todd Whiteman, Executive Director of Disability Network/Lakeshore, will attempt to play over 500 holes of golf in a single day. Each year Disability Network/Lakeshore serves over 1300 people with disabilities. Our goal in every interaction is that those we work with identify and pursue the highest level of independence attainable. DNL charges no fees to the individuals we work with. Your support for Pars For A Purpose helps us sustain this important work in the community. Every dollar raised at Pars for a Purpose has the potential to bring three additional dollars back into the Lakeshore community from matching entities. For example, a $50 pledge could mean $200 of community resources. Date: Monday, June 18, 2019 -Dawn to Dusk!